Agile training and coaching is all we do, and we do it well. Whether you’re spinning up a new scrum team, contemplating an enterprise-scale agile adoption, or looking to add scrum certification to your resume, we have the experience and expertise to help you succeed. 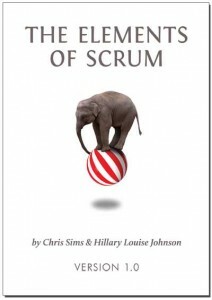 There are as many ways to be agile as there are high-performing teams. Agile Learning Labs follows the Agile Manifesto’s people-centered approach, finding pathways to success within a company’s own culture, history and circumstances. A rapidly growing startup is coming from a very different place than a mature company with a 30 year-old product line that has undergone a recent merger, and the path to agility is different for each. The happiest, most productive teams inspect-and-adapt in pursuit of continuous improvement, discovering new and better ways to work together, and enhancing product quality and customer satisfaction along the way. If this is where you want to go, we want to help you get there.